Chris Hardwick’s “Nerdist News” may be coming to SyFy. The NBCUniversal network has ordered a pilot for a half-hour version of the daily web series, executive produced by Hardwick and fellow “Talking Dead” EP Brandon Monk via Nerdist Industries. 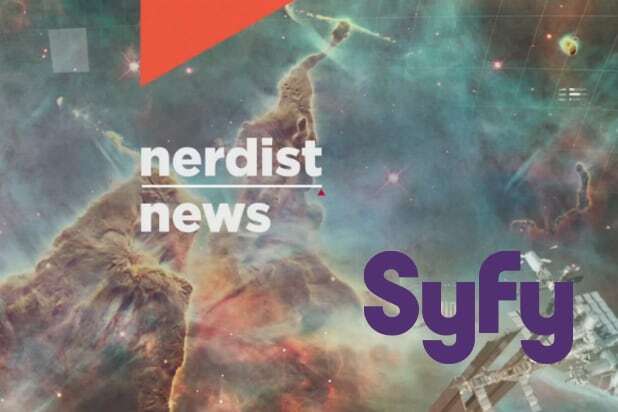 Like the online show, “Nerdist News” on SyFy will cover the latest trend in the worlds of science fiction, tech and science, and “sci-pop culture.” The web series is heavy on comic book and superhero movie franchise updates, real-life scientific breakthroughs and other “nerdy” topics. Hardwick, who hosts the AMC “Walking Dead” aftershow as well as “@midnight” on Comedy Central, is not hosting the pilot. Jessica Chobot hosts the “Nerdist News” web series but there is no word on whether she will also front the pilot.